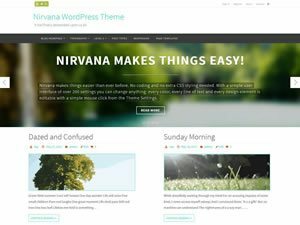 Mantra is a free WordPress theme, featuring a whole pack of customizable options and easy to use tweaks, capable of tuning WordPress to your specific needs. 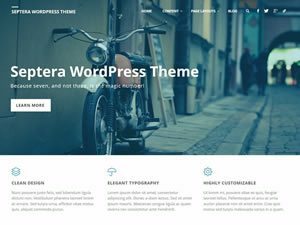 Mantra is a do-it-yourself WordPress theme, featuring over 100 customization options and easy to use tweaks capable of tuning WordPress to your very specific needs and likes. 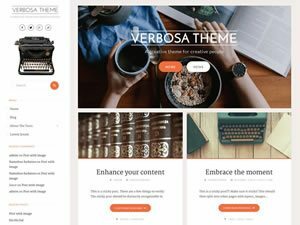 With the help of a simple and efficient user interface you can customize everything about the theme: the layout, site width, colors, fonts (over 35 plus all Google fonts), text sizes, post metas, post excerpts, post formats, 3 menus, 30+ social icons. 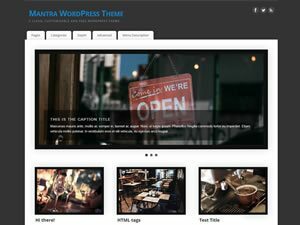 Mantra also comes equipped with a fully responsive layout, a highly customizable showcase presentation page, animated slider, magazine and blog layouts, 8 widget areas, modern graphics and an easy and intuitive admin section. 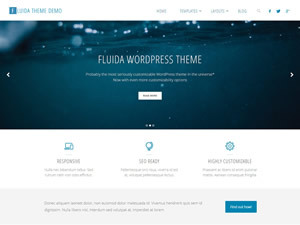 A WordPress theme that includes all the features and functionality out of the box, for free. We don't hide half the theme behind a paywall. With well over one hundred theme customization options it will be a piece of cake* to make it your own. Constantly updated and upgraded to the latest design trends, web standards and WordPress versions. 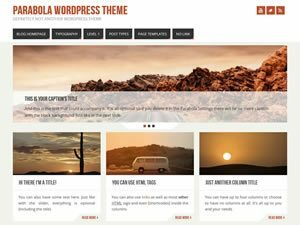 each of our WordPress themes has a sprinkle of uniqueness to set it apart. Hundreds of theme options for almost infinite personalization. Includes all the features and functionality from start, for free. Just download and install. Our themes use the latest standards for the perfect browsing experience on all mobile devices. Our WordPress themes are periodically updated with the latest improvements, additions and fixes. Easy link to your favorite social networks and profiles in multiple theme locations. Applying any of the 700+ Google Fonts on a theme element is just a copy-paste away. 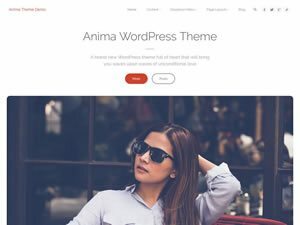 Easily translatable theme that fully supports WordPress' language packs. This theme has been thoroughly tested and curated to look perfect with right-to-left languages. 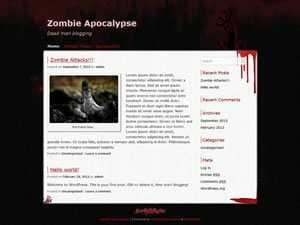 Completely integrated into WordPress, configuring and customizing the theme is a breeze. Supported by extensive theme documentation, FAQs, tutorials and an active forum. Backed up by a priority support service that can answer even the toughest of questions. For only $89 get priority support & footer link removal for all our themes. 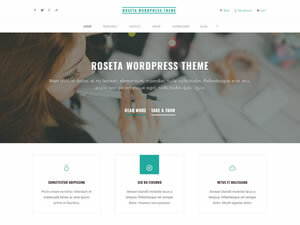 Roseta is a brand new free WordPress theme to get you started in 2019. The theme was supposed to be a nicely wrapped present for you to find under the tree on last year’s Christmas morning but, alas, a few last moment tweaks and improvements delayed things quite a bit. But boy oh boy was it worth it. Find out why it’s worth it and then get to installing, activating and customizing. Right after the jump. Septera Plus brings loads of pure awesomeness to a theme that was already brimful with awesome. 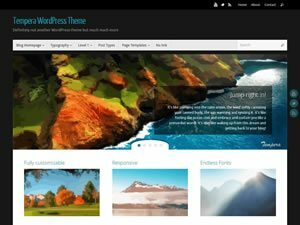 All the features that were not allowed for themes hosted on WordPress.org have now found their way into the premium version of theme! So if you like Septera, you’re going to love Septera Plus! Anima gets bitten by a radioactive spider… and so Anima Plus is born. And Anima Plus is bigger and better in almost every way. It has all the features and extra functionality that the free version simply couldn’t handle. But all these great powers come at a cost. Find out what that is in the full post. 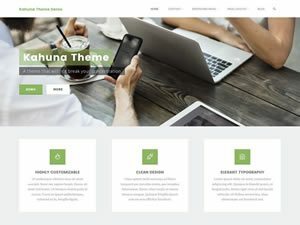 Kahuna Plus is our latest premium theme and it brings with it all the features and functionality that we couldn’t include in the free version of the theme. Some of the stand-out features are a sortable and seriously customizable landing page, portfolios, theme specific shortcodes, advanced widgets, page templates, related posts, post/page specific metas, mobile menu responsiveness breakpoint, script and analytics fields. Did you know our veteran Mantra theme is almost 7 years old? Cause she is. And in many ways she sure looked her age. Mantra had very small font sizes, small to no padding and some pretty dated graphics. And if you peeked under the hood (naughty you! ), you probably found tons of dusty code and messy styles, all glued together by curtains of sticky spider webs. So you might ask yourself, how could we let our first WordPress theme fade away like that? Well, we couldn’t. So this holiday season we spent all our free time to bring Mantra up to date. And we really think you’re going to like what’s been done. 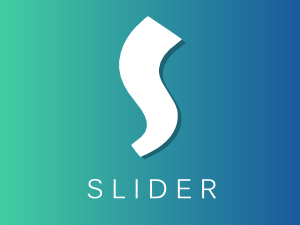 Dropped text shadow and box shadow effect usage from different elements like site title, post titles, meta areas, images etc.